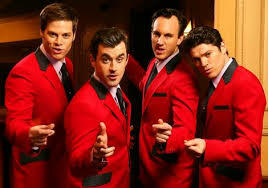 The Australian production of JERSEY BOYS opened to rave reviews in Melbourne on 4 July 2009 and went on to break box office records twice. It went on to play to 1.6 million people across Australia and New Zealand, including a return to Melbourne in 2013. Note: all fields marked with a red * are required for successful submission.